Joshua Lee believes in aggressive, tough advocacy and a client-centered approach to every case. His singular purpose is to get the best possible result for his clients. To that end, Joshua develops a goal-oriented strategy for each case, keeping in mind what judges and juries care about. In fighting for his clients’ rights, Joshua draws from a wide body of experiences and a robust understanding of the law. Having represented both plaintiffs and defendants, Joshua is able to use his experiences and insights to the advantage of his clients. Unlike many litigators who focus on specific areas of the law, Joshua was trained as a generalist and has handled a broad range of disputes across many industries. Joshua brings these experiences and skills to bear for his clients, especially those who have suffered devastating injuries as a result of the negligence of others. Joshua is honored to have earned the trust of some of Texas’ preeminent personal injury lawyers who call on him to perform sophisticated legal analysis and writing when their clients are faced with motions to dismiss and other case-dispositive issues. 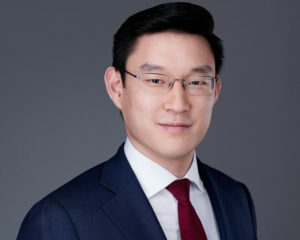 Prior to co-founding Armstrong Lee Savage LLP, Joshua litigated cases at some of the most highly respected law firms in the country in a broad variety of contexts including personal injury, product liability, breach of contract, trade secret misappropriation, and securities & commodities litigation. Joshua graduated from the New York University School of Law in New York City, which is considered among the best law schools in the world. While in law school, he served as a judicial intern to the Honorable Lee Rosenthal, Chief U.S. District Judge of the United States District Court for the Southern District of Texas. Prior to law school, he studied rhetoric, public discourse, and argumentation at The University of Texas at Austin. Joshua is admitted to the state bars of Texas and New York, as well as to federal courts in both Texas and New York. He is a member of the Houston Bar Association, Federal Bar Association, Asian American Bar Association of Houston, Houston Trial Lawyers Association, and Houston Young Lawyers Association. Joshua is the son of first-generation immigrants from South Korea and the first lawyer in his family. He lives in Houston with his wife Julie, their golden retriever Watson, and their tabby Willie.